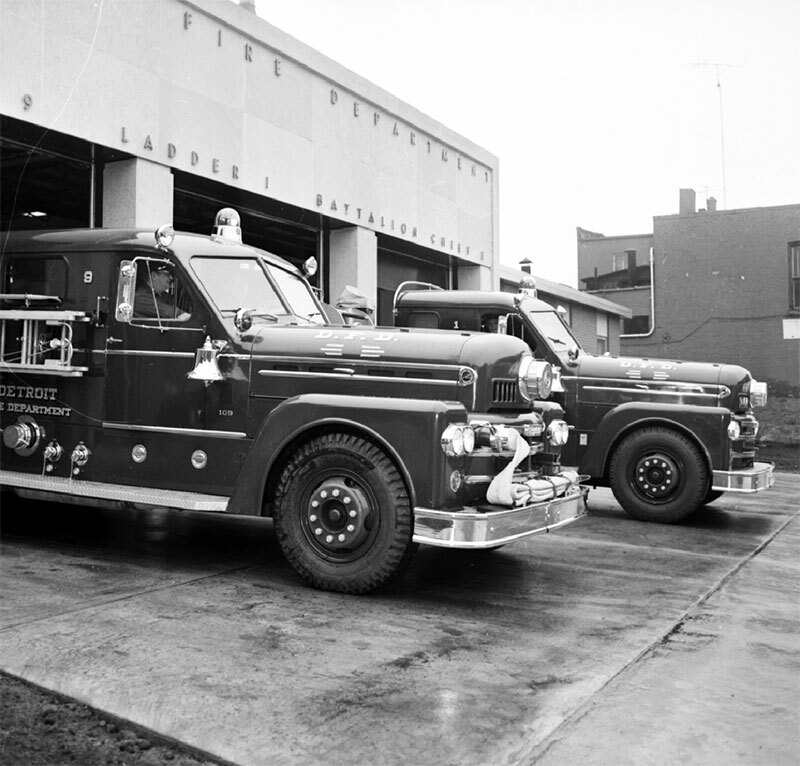 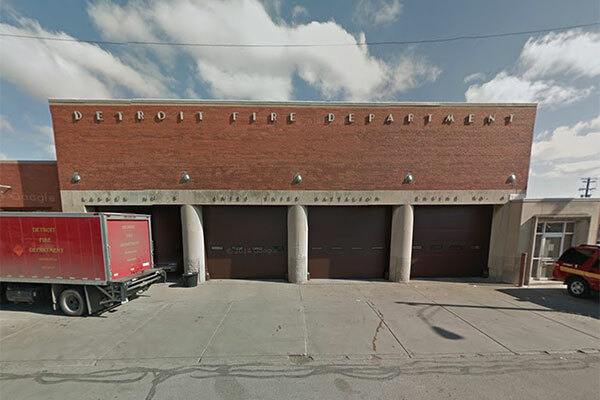 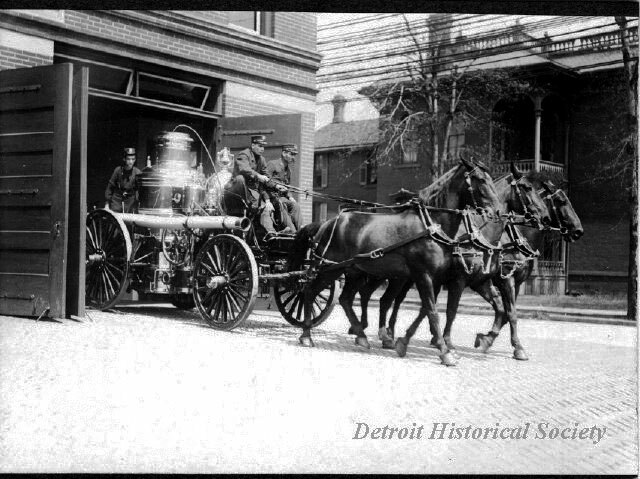 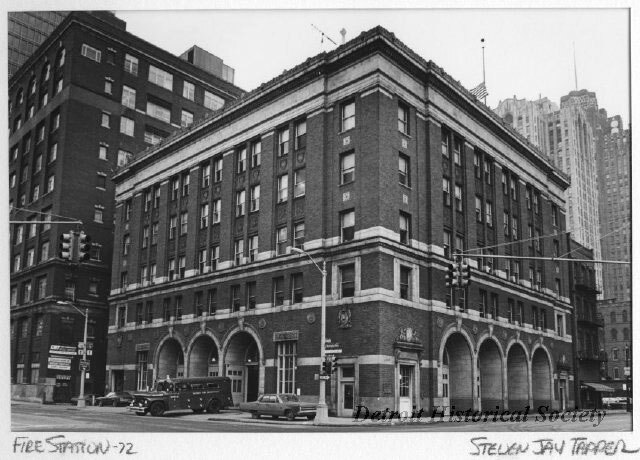 Description: Sepia-toned photograph of Detroit Engine Company No. 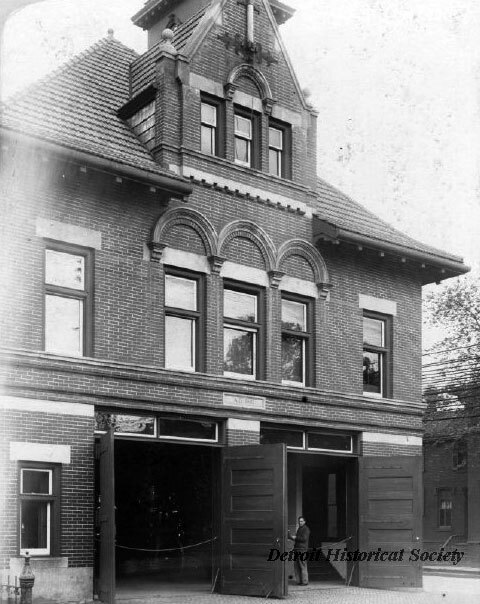 9 exiting a fire station with a horse-drawn Amoskeag steam engine. 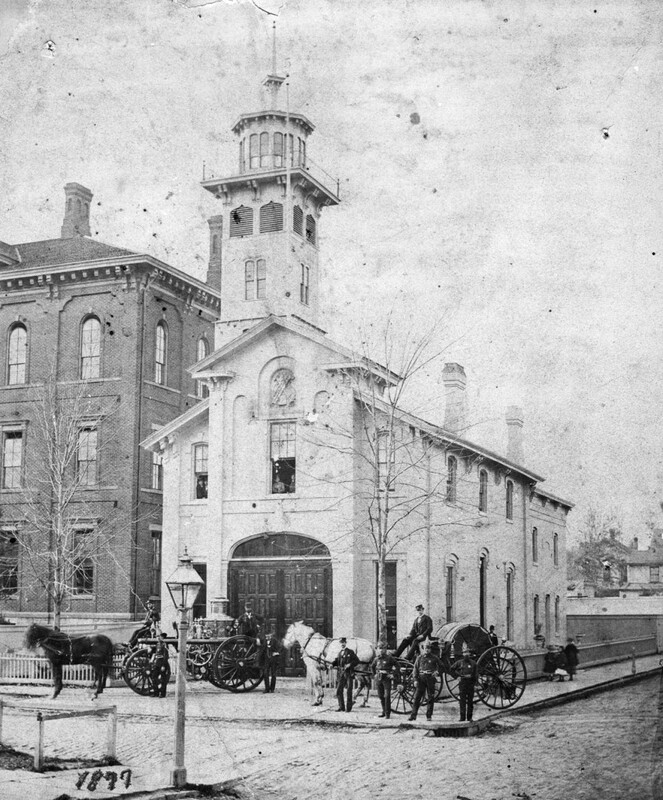 A team of three horses pull the equipment, driven by a fireman, a second fireman is seated beside him, while a third fireman is standing on the rear of the engine behind the water tank. 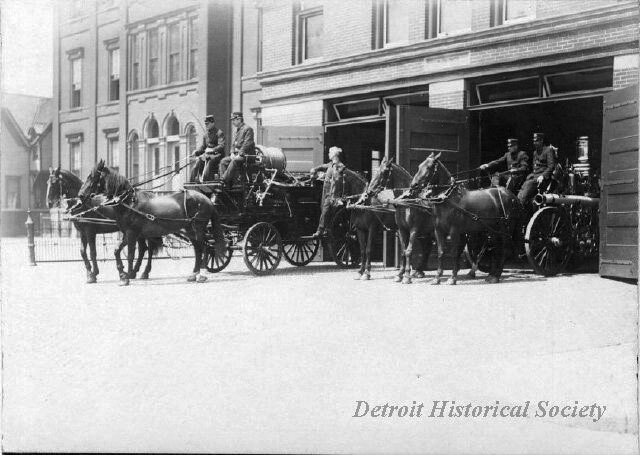 Description: Sepia-toned gelatin silver photo of five firemen, a horse-drawn hose wagon, and a horse-drawn steam fire engine as they are leaving the fire station. 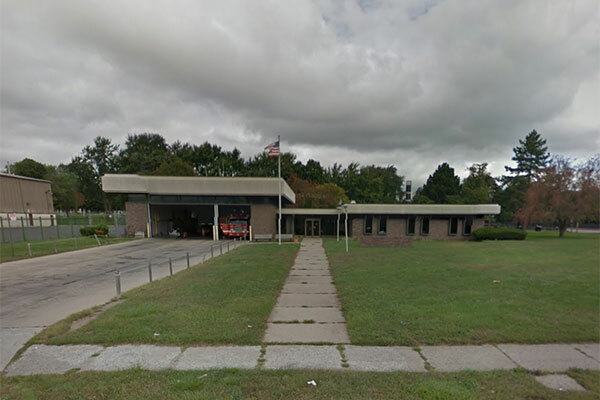 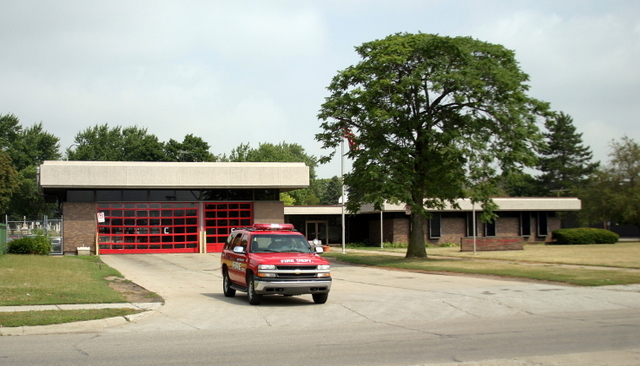 The group is Steam Engine Company No. 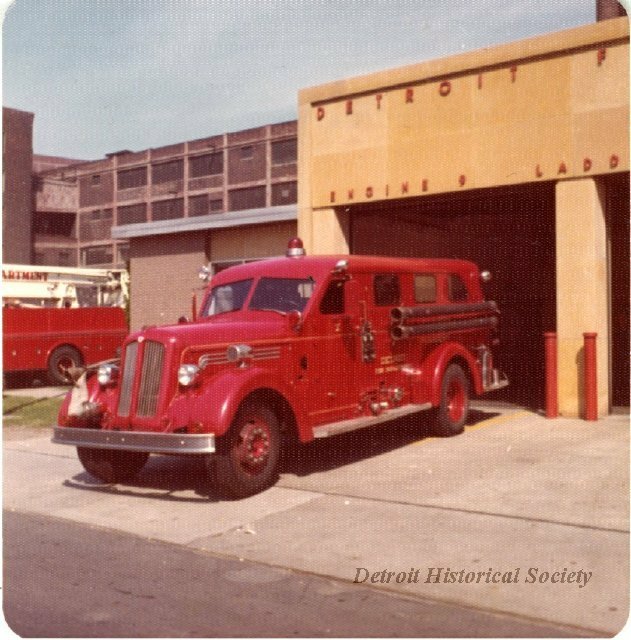 9 and the number, ”9,” can be seen on the side of the hose wagon just below the driver’s seat.